3D Issue offers many features which are major time savers for publishers. One of these features is the auto detection of some elements already in place in your PDF content. In this blog post we shall assess, what is this information and how can it save time? The details outlined below are provided in relation to 3D Issue Version 6.1. These principals also apply to 3D Issue Version 5 and above. Custom link detection is available in Version 6 and above. Load any compatible PDF into 3D Issue and one of the first things noticed is the ‘Text extraction’ dialog box. This process is fast and provides 3D Issue publications with the search archive necessary for your readers to use the search tool. Text extracted from the PDF may be later used as HTML for site maps too which adds SEO benefits. To enable the search option in 3D Issue ensure that in the Design tab > Search is checked. Whilst the 3D Issue software extracts the text from PDF files it also ‘reads’ the text – where the software recognizes URL and email addresses it will place hotspots automatically. To enable this feature select Options > Advanced > Auto detection. 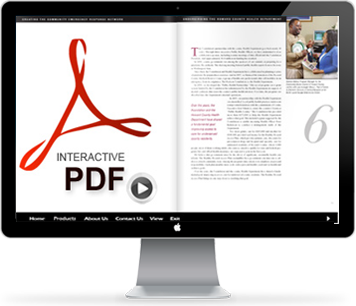 Note images which are contained in a 3D Issue publication and include an email or URL will need to have hotspots added in order to be clickable. The software cannot read images which is why this becomes necessary. Where a PDF has bookmarks embedded in the publication 3D Issue will auto detect. In the Pro and Enterprise software where Table of contents is available readers can avail of the table of contents at all times from the reader toolbar. Bookmarks in the PDF will mean that this table of contents is automatically populated for the publisher. Custom link detection. Or alternatively press F8. 2. Once the dialogue is opened check the box in the top left to enable Custom link detection. will make it difficult to detect the link. We’re going to use an example using a product code from a website (a PLU). All the product pages on the site are loaded by a PHP script which uses the variable “prodID” to select the right product. For more questions or assistance contact info@3dissue.com.